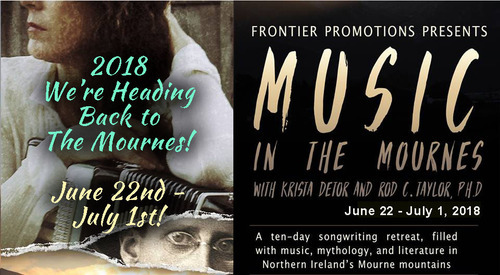 Krista Detor : Krista Detor ANNOUNCES the second 'Music in the Mournes,' - a 10-day songwriting retreat in Northern Ireland in June, 2019! Set in Northern Ireland’s Mourne Mountains for the first time in May of 2017, the program was a rousing success and we'll be making our way back in 2018! 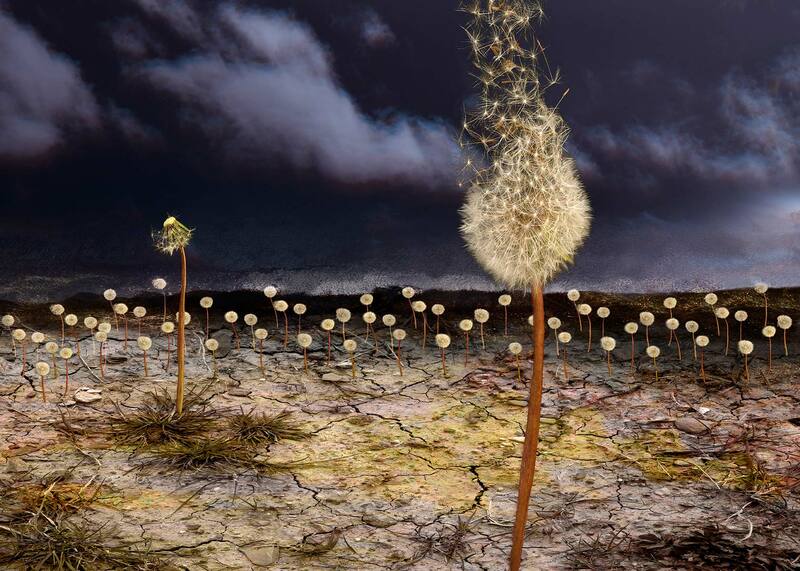 The program explores the art of songwriting through Irish literature and culture by way of traditional irish music and the celebrated authors who have been directly influenced by the landscape, mythology and history of Ireland: James Joyce, Sean O’Casey, Seamus Heany, and C.S. Lewis, who created the magical world of Narnia. Through this interactive, immersive, interdisciplinary program, Krista Detor and Dr. Rod Taylor, along with a number of Ireland’s lauded writers, offer a unique and exciting experience through which participants will further develop their songwriting skills while also gaining a deeper understanding and appreciation of Irish culture and its enduring and far-reaching contribution to the arts. The retreat includes songwriting, poetry and literary rotations, one-on-one sessions with Krista Detor and Rod Taylor, wonderful guest performers and workshops, musical performances by Detor, Taylor and their guests, as well as traditional Irish musicians, day trips to Dublin, Belfast and the Narnia Woods of Rostrevor. Contact: musicinthemournes@gmail.com for brochure, scholarship options and further information about this unique writing retreat! *Guests are responsible for airfare to and from Dublin.